John William Bell, 72, of Chicora died Wednesday at Butler Memorial Hospital following a short illness. Born Dec. 25, 1945, in Petrolia, he was the son of the late Paul Bell and the late Alberta Fair Bell. He was a coal miner working for R&P Coal Mine for 20 years, retiring in 2008. He enjoyed spending time with his family. 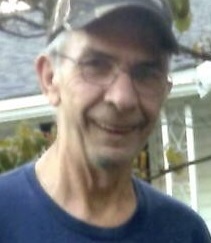 He is survived by a daughter, Julie Williams of Butler; a son, Brent (Jessica) Bell of Chicora; five grandchildren, Nichole, Dakota, Samantha, Zachary and Addison; three great-grandchildren, Wyatt, Thor and Alania; a brother, James Bell of Chicora; two sisters, Rebecca Bell of Bruin, and Polly Brown of Chicora; and several nieces and nephews. In addition to his parents, he was preceded in death by two brothers, Thomas and Gerald Bell. Friends of John William Bell, who died Wednesday, Nov. 28, 2018, will be received from 2 to 4 and 7 to 9 p.m. Friday at STEIGHNER FUNERAL HOME, 111 E. Slippery Rock St., Chicora. Funeral services will be held at 11 a.m. Saturday at the funeral home with the Rev. O.J. Roudebush officiating.